This proved to be another productive year in delivering our message to promote post-secondary health and safety education across Canada. 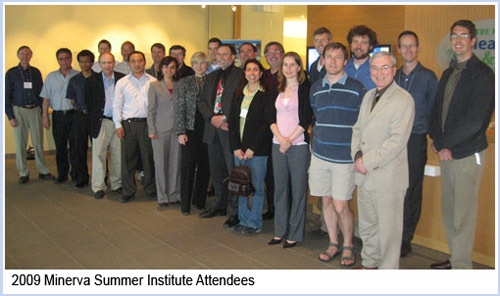 Thanks to Graeme Norval and the Summer Institute Planning Committee and Minerva Board members who participated with presentations and panel discussions, our 2009 Summer Institute was very successful, once again, drawing attendance from 23 professors from all regions of Canada. Of special note this year was the expansion beyond the focus on chemical engineering to encompass a range of disciplines. We enjoyed the participation of mechanical and electrical engineering academics from the University of Toronto. In addition, we held our first Mini Institute in March 2009 at U of T which was also very successful, drawing both engineering students and professors. Attendees from various engineering disciplines were taught the importance of health and safety education and professors were encouraged to attend and participate in the Summer Institute, which several did. 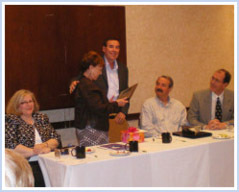 Retiring Industrial Accident Prevention Association (IAPA) President Maureen Shaw receives a plaque from Minerva Canada Chairman & President Tony Pasteris during this year’s Summer Institute, to recognize her long-standing contributions to Minerva. 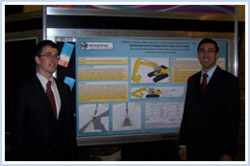 The 2009 Minerva Canada James Ham Safe Design Award Congratulations to two Queen’s University students for their award-winning excavator design enhancements. 2009 Inter-Collegiate Business Competition Congratulations as well to the University of Calgary for winning the Business Ethics category for its analysis of a Minerva-sponsored case study. 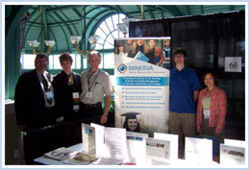 Minerva Canada will be a platinum sponsor in 2010, adding a Human Resources event and providing two case studies on health and safety for the competition. 2008 Robert W. Campbell Award Fluor Hanford and Gulf Petrochemical Industries Company captured the top honours for this prestigious international award that recognizes exemplary companies that successfully integrate health, safety, and environmental management. 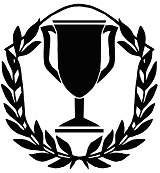 As a global partner, Minerva analyzed some of the submissions made for this award. In 2009, the Minerva Canada president will be one of three judges to assess the finalists. An exciting new initiative is Minerva Canada’s outreach activities to healthcare educators in order to promote H&S education beyond business and engineering schools. These include participation in a Council of Ontario Universities’ work group, sponsorship of a research study on health and safety curriculum in Ontario nursing programs, and a national mail campaign to promote more H&S education in Canadian healthcare teaching institutions. I would like to thank Industrial Accident Prevention Association (IAPA) for its continued support and financial assistance. I am especially grateful to retired President Maureen Shaw for her many accomplishments and continued support, and I would also like to welcome Elizabeth Mills, IAPA’s new President and CEO. Minerva looks forward to continuing its strong alliance and partnership with IAPA. I wish to thank our many volunteers from industry, government, academia, and health and safety associations who make up our Board of Directors and Working Committee for their endless dedication and assistance. I am also grateful to our many sponsors whose continued support and financial assistance make our efforts at Minerva Canada possible. Chemical, mechanical and electrical engineering faculty, along with industry representatives from across Canada, exchanged ideas at this year’s Summer Institute. “If we create a health and safety management culture across all engineering disciplines, a safety ethic will be deeply instilled in students across Canada.” This was both the theme and challenge presented at the start of the 2009 Minerva Summer Institute. This year’s workshop, attended by more than 30 engineering professors and industry experts from across Canada, was unique in that it expanded beyond its focus on chemical engineering to encompass a range of disciplines, such as mechanical and electrical. Presented by Minerva Canada and its dedicated sponsors, this annual event introduces engineering and business faculty from universities across Canada to the vital concepts of health and safety management for integration into the curricula. The 2009 program focused on a number of key themes: safety, health and environment (SHE) management systems, safety engineering technology, ethics, engineering science, regulations, codes, standards, practices, and SHE teaching practices and research. A big difference in this 6th Annual Summer Institute was the inclusion of former engineering students sharing what they wished they had learned during their studies now that they are employed in industry. For example, Nerina Mariathis of Digital Specialty Chemicals, discussed the importance of knowing about fire regulations and codes and CSA requirements, which she was never exposed to at school and struggled with learning when first on the job. This insight into what is important on the job was valuable since “many professors have no knowledge of what a plant engineer does on a day to day basis,” explains Graeme Norval, Associate Chair and Undergraduate Coordinator, Department of Chemical Engineering and Applied Chemistry, University of Toronto, and lead organizer of the Summer Institute. 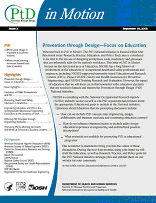 The majority of professors agreed that an integrated approach of providing material across the four years of curriculum is preferable, reinforcing that safety is part of design, not an add-on nor post-design activity. Wherever possible, case studies should be used since they provide the context. A kick-off by Dr. Reza Moridi, Parliamentary Assistant to the Minister of Training, Colleges and Universities, who addressed safety in universities and leading by example. Minerva President & Chair Tony Pasteris had met with him in March to discuss synergies with the Ministry. A panel discussion on “What is Missing in Health and Safety Education today”, featuring Sophie Dennis of the Ontario Ministry of Labour, John Macnamara of Hydro One, Marcel Pouliot of Trimac and Maureen Shaw of the Industrial Accident Prevention Association. Their key messages included the need for professors to talk from the heart and convey to students that people must not get hurt in the workplace, the need for graduates to have a better understanding of health and safety management and the need for better partnerships between industry and government. Using our existing resources as well as other resources to create a teaching video that will be available on CD that faculty and students across all disciplines of engineering can use to learn about health and safety management. Communicating the successes of Summer Institute participants. Developing new and effective methods of teaching health, safety and environmental topics to engineering students across Canada. In December, 2008, Minerva surveyed the 24 professors from various engineering schools across Canada who attended last year’s Summer Institute. Some of the research results: 65% indicated that they have taken some material and integrated it into their curricula, and another 20% said they plan to do so. Additionally, an analysis of the last three years of results revealed that past participants are using 80 to 90% of the material. direction on where to go to for more resources and information. This past March, Minerva National Board members Tony Pasteris, Claudio Girolami, and Peter Strum, along with then IAPA President and CEO Maureen Shaw sat down with engineering professors and students at the University of Toronto for the first ever Mini Institute. The intent was to demonstrate to other engineering disciplines the importance of incorporating health and safety into their curricula and to encourage students and faculty members to attend the 2009 Summer Institute. This event not only opened the door to the Summer Institute, but also triggered attendance at the event. 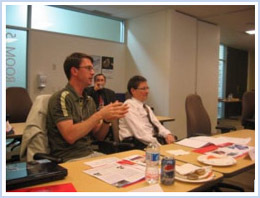 The next Mini Institute is planned for the fall of 2009 at Queen’s University. A joint event between Queen’s engineering and business schools, it will be hosted by mining engineering professor and Minerva board member Vic Pakalnis and business professor and past Summer institute attendee Annette Bergeron. Universities interested in hosting future Mini Institutes should contact Tony Pasteris at minerva@safetymanagementeducation.com. The award is named after Order of Canada recipient James Ham, who’s innovative Royal Commission Report on Health and Safety in 1975 led to the creation of Ontario’s Occupational Health and Safety Act, as well as to the adoption of the Internal Responsibility System in Ontario workplaces. Until 2009, it was awarded to students in Ontario engineering schools who suggested new and innovative designs that help reduce potential safety hazards in the workplace. 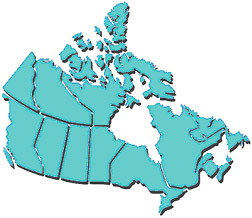 In 2010, the award will be open to engineering students across Canada. The award also challenges students to create tools to help manufacturers and workplaces integrate safety into their new or retrofit designs. Left to right: IAPA Past President Maureen Shaw and Minerva Canada Chairman & President Tony Pasteris congratulate the 2009 James Ham Safe Design Award winners, Queen’s University Engineering students Michael Hermanns and William Doyle. Doyle’s personal experience in working with hydraulic excavators inspired him to take on this design project. Hydraulic excavators are widely used in construction, mining and logging operations due to their long reach and maneuverability. While working in summer jobs for a construction company, he became aware of the poor visibility of the equipment and witnessed two excavators roll over in the canyon. He decided to research hydraulic excavators in the workplace and found that a total of 346 deaths were associated with excavators between 1992 and 2000, according to the U.S. Bureau of Labor Statistics. This finding prompted him to begin thinking about a design that could help prevent injuries and accidents in the workplace. In mid-sized hydraulic excavators, the operator’s line of sight is extremely limited by the structure of the cab, the arm rising to the right, the bucket, the engine, and counterweights located at the rear. Hermanns and Doyle’s design significantly improves an operator’s visibility through changes to the machine’s structure, as well as an addition of a camera and infrared sensor in the machine. While the projected cost of these changes would amount to $3,139 per excavator, the new design would save companies a great deal of money from lost hours and worker compensation claims due to injuries. William Doyle(l) and Michael Hermanns showcased their award-winning design at the research poster session during the IAPA annual convention. Doyle and Hermanns are extremely pleased and honoured to receive recognition on their design. “I feel this competition was beneficial in raising awareness about operators’ restricted line of sight, and perhaps companies will feel obliged to improve the design and safety of the machines,” says Doyle. If manufacturing companies take interest, Doyle and Hermanns plan on pursuing a patent. In 2010, the James Ham Safe Design Award will be available to students of engineering schools across Canada. Official entry forms and complete details for the award are available at www.safetymanagementeducation.com///////. For the first time in eight years, the Queen’s University Inter-Collegiate Business Competition (ICBC) will introduce a new competition – a Human Resources (HR) event – sponsored by Minerva Canada. Hosted annually by the Queen’s School of Business, the ICBC is the pinnacle of undergraduate business case competitions in Canada that has garnered entries from top business schools across North America and Asia. 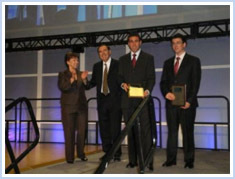 The University of Calgary won top prize in the 2009 ICBC Business Ethics competition, analyzing a case study sponsored by Minerva. Beginning in 1978 with only three events, today’s ICBC has eight distinct competitive events which include: Accounting, Business Policy, Debate, Ethics, Finance, Marketing, Management of Information Systems, and newly added this year, HR. This new addition will link business ethics with occupational health and safety and will raise awareness for managing H&S within business schools in Canada and abroad. ICBC is made up of two basic rounds: the Inter-University Round (IU Round) and the Final Round. Schools select a competitive team to enter each event in the IU Round, where students enter a written submission in response to a business case. Queen’s School of Business faculty mark these written submissions and choose six teams to then qualify for the Final Round. At the Final Round, competitors are given five and a half hours to develop a solution to a written case and develop a 15-minute presentation. The competitors then present their solution to a panel of judges, some of whom will be Minerva Board and Committee members. For more information, visit www.icbconline.ca. 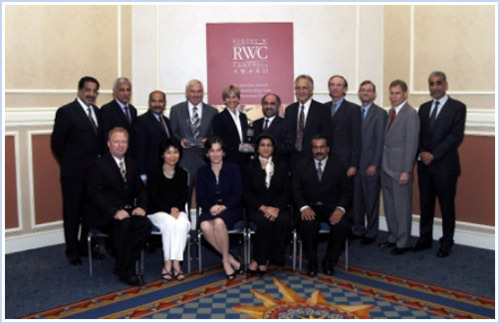 Representatives from award winners Fluor Hanford and Gulf Petrochemical Industries Company were honoured at the National Safety Council 2008 Congress. Congratulations to the 2008 Robert W. Campbell Award Category 1 winner Fluor Hanford, a contractor to the U.S. Department of Energy managing environmental remediation activities at its Hanford Nuclear Reservation in Washington State. Category 1 is awarded to companies with more than 1,000 employees. The company employs 3,600 people engaged in dismantling former nuclear-processing facilities, cleaning up contaminated groundwater, retrieving and processing radioactive and chemical waste, and maintaining the site’s infrastructure. Its partnership with unions and approach to EHS protect and strengthen economic, environmental, and community vitality. Congratulations also to 2008 Robert W. Campbell Award Category 2 winner Gulf Petrochemical Industries Company (GPIC). Category 2 is awarded to companies with up to 1,000 employees. A joint venture petrochemical and fertilizer company equally owned by the governments of Saudi Arabia, Bahrain, and Kuwait, GPIC began production in 1985 and currently employs 522 people and up to 300 contractor personnel. The company’s dedicated staff makes it their personal crusade to nurture a robust EHS culture in their homes, society, and region as well as at work. The award is given annually to companies that successfully integrate health, safety, and environmental management. An international panel of independent reviewers, including Minerva, examined each application in a rigorous assessment process. Minerva Canada is one of 22 global partners of this award. For more information about the Award, visit www.campbellaward.org. 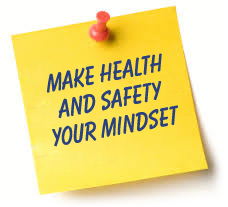 In 2009, Minerva continued to develop a heightened awareness for more health and safety education in Ontario healthcare teaching institutions. It sponsored a research study on H&S curricula through a survey to determine the level of H&S training student nurses receive, as well as to identify best practices and barriers to more extensive training. Conducted by graduate student Shayna Frawley of Queen’s University in 2008, a total of 37 Bachelor of Science in Nursing (BScN) and Practical Nursing (PN) programs in Ontario responded. The study found that student health care workers are at an increased risk of occupational injury, and for most schools, H&S topics are ‘threaded in’ where possible and when time permits. The training that is provided is often general and introductory in nature, rather than specific and detailed. Ultimately, the survey found that Ontario nursing students need more extensive H&S training to be better prepared for the serious occupational risks they face—first as students, and then as nurses. 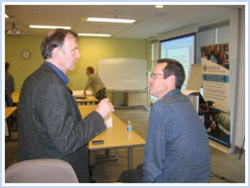 In February, the Minerva Alberta Steering Committee, comprising members from industry, the University of Alberta (UofA), the University of Calgary (UofC) and representatives from OH&S, convened for the first time to discuss the integration of Process Safety and Process Safety Management into Engineering curriculum. As the UofA already has a stand-alone course, discussion centered on whether it could be added as a stand-alone course or part of the existing curriculum at the UofC. As a result, the UofC is currently reviewing its curriculum. A heartfelt thank you as well to recently-retired Board member Paul Amyotte, Professor, Department of Chemical Engineering, Dalhousie University, Halifax, for his contributions to Minerva over the years. President, OH&S Consulting Services Inc.
Ceiling Fan (by University of Ontario Institute of Technology). The objective is to describe the development of an enhanced ceiling fan, while highlighting health, safety and the environment considerations. The topic of a ceiling fan was chosen because it is a typical real product that relates to many engineering fields, it includes numerous health and safety concerns and regulations, and it involves improved energy efficiency and reduced environmental impact, making it highly topical. The case study will address both technical and non-technical issues, as that is usually important to teaching health, safety and environment topics. R.W. Campbell Award winners’ case studies will be posted on Minerva’s web site when available. To access case studies and other resources, visit www.safetymanagementeducation.com///////. Professors should contact Dave Meston, Co-Chair of the Minerva Working Committee, at dmeston@ilap.com for password to instructor notes. Fall 2009: Minerva Mini Institute for business and engineering professors, Queen’s University, Kingston. Info: Vic Pakalnis, pakalnis@queensu.ca.